All Buon Vino wine filters have been designed to use ORIGINAL Buon Vino Filter Pads. 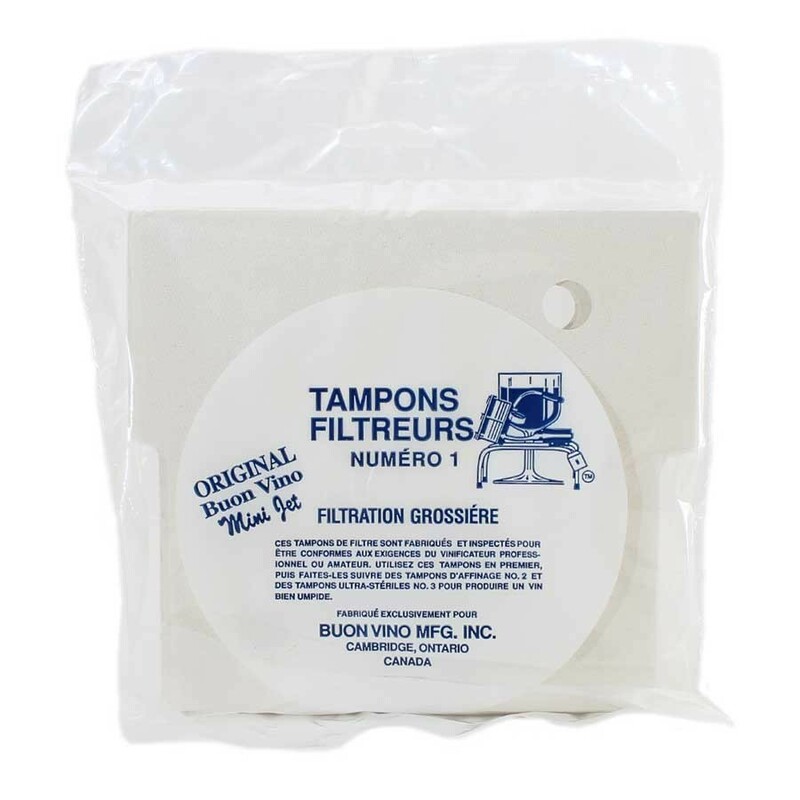 From the manufacturer: All Buon Vino wine filters have been designed to use ORIGINAL Buon Vino Filter Pads. The micron sizes and consistency of Buon Vino Filter Pads have been designed to give optimal performance when used with Buon Vino wine filters. The flow rate of the pump is designed to work in conjunction with the Buon Vino Filter Pads to give you the best filtration possible. Buon Vino #1 pads are coarse pads, mainly used for heavy wines. These pads will not show significant change in the wine. They are used to collect and/or break down large particles.